These metallic glands are liquid tight, offer excellent strain relief and have lameller designed plastic inserts for protection against distortion. 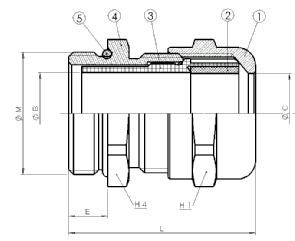 These glands are suitable for use in machinery and equipment, measuring and controlling devices, medical equipments and many other fields where exceptional stability and safe functioning is required. 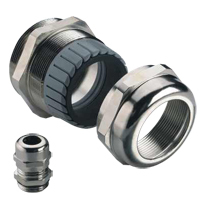 Cable glands with long thread length or reduced clamping range are also available on request.